You want your home to be a safe and comfortable place for you and your family. Your home’s air conditioning system is essential to your comfort in the hot summer months. When your air conditioning stops putting out cold air you need to take action rather quickly. Air conditioning isn’t something you can typically fix on your own. 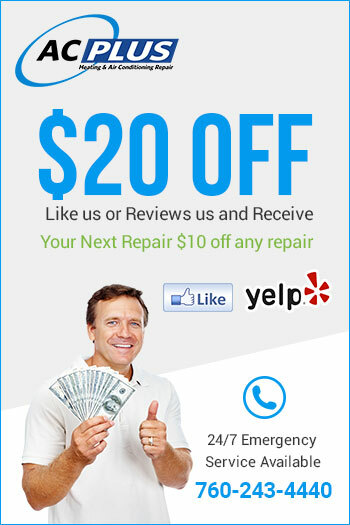 You need to call an expert in air conditioning repair in Spring Valley Lake. There are many possible problems that could prevent your air conditioner from turning on. There are a few things you can check before you call for air conditioning repair in Spring Valley Lake. Check to make sure that the thermostat is in the cool position and is turned on. Set the desired temperature at about 5 degrees less than the current temperature in the house to see if the unit turns on. If not, check the circuit breaker to see if it has tripped. If so, turn it on and check the AC again. If the unit still doesn’t work or if it trips the breaker again, call for air conditioning repair services. Should I Reset My Air Conditioner? If your air conditioner has a reset switch you may certainly try using it to see if it works to turn your air conditioner back on again. If it doesn’t have a reset switch you can reset the unit by turning off the thermostat and resetting the breaker switch at the circuit box. Then, wait about a half hour and turn the air conditioner on at the thermostat to the cool setting. This may work for a temporary fix, however if the air conditioner has a problem it is likely to recur. Who Should I Call For Air Conditioning Repair in Spring Valley Lake? Always call a professional air conditioning repair company to diagnose and fix the problem. You want to make sure that the company has a team of trained and experienced experts who are available to make a repair quickly and efficiently. 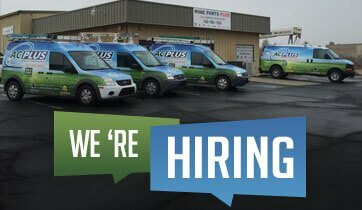 The team at AC Plus Heating & Air Conditioning Repair offers high quality air conditioning repair in Spring Valley Lake. We are fully licensed and insured and offer regular and emergency services to the Apple Valley area. We have a 5 star rating with the Better Business Bureau. Our team is dedicated to providing you with the best service possible at reasonable prices. How much does it Cost to Repair My Air Conditioning? Air conditioning repair in Spring Valley Lake is extremely affordable. We offer a flat rate for repairs. Our team is able to quickly diagnose the problem and make any necessary repairs. Our technicians carry a large selection of part inventory in their trucks so most repairs can be made immediately. The technician will explain the problem that he found and provide you with a quote for the repairs along with how long it will likely take to repair. You will soon have working air conditioning again in your home or office.